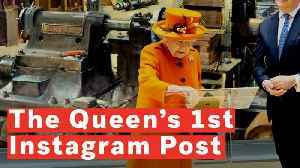 Queen Elizabeth II made her first Instagram post. 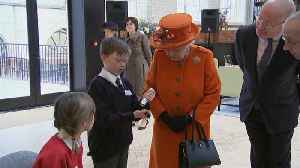 On Thursday, the queen posted from the Science Museum to help promote the museum's summer exhibition. 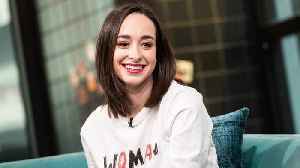 Using an iPad, she shared an image of a letter from 19th century inventor and mathematician Charles Babbage to Queen Victoria and Prince Albert. In the letter, Babbage told Queen Victoria and Prince Albert about his invention, the Analytical Engine, upon which the first computer programs were created by Ada Lovelace, a daughter of Lord Byron." “Arrow” star Stephen Amell praised his co-star, Emily Bett Rickards, on Monday following news that she would not be returning for the show’s eighth and final season. 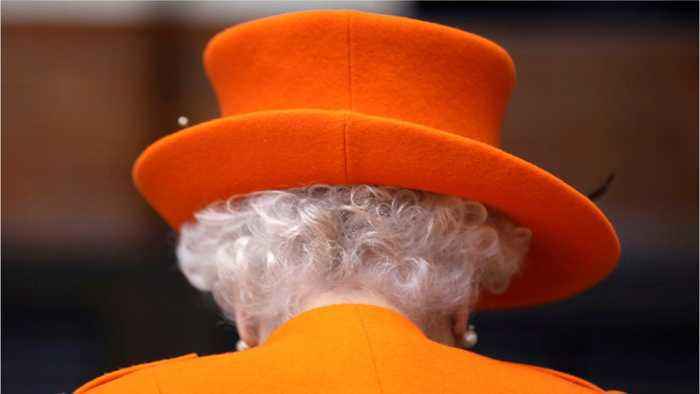 “For me… August 3rd, 2012..
We have been graced with the Queen of England's first post on instagram. What else can we expect from this royal superstar? 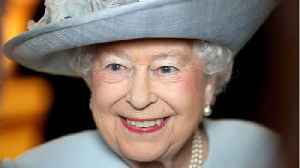 According to Allure, about four years ago Queen Elizabeth II posted her first tweet. 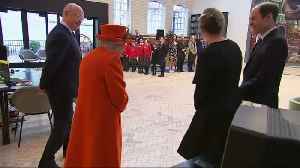 Queen Elizabeth during a visit to London's Science Museum on Thursday found it "fitting" to make her first Instagram post, after learning about "children’s computer coding initiatives" and..
Queen Elizabeth II Posted on Instagram for the First Time The Queen, 92, visited the Science Museum in London to view a letter written in 1843. 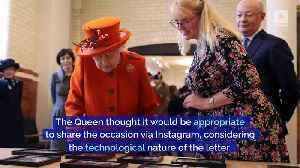 The letter was written by the world's..
Queen Elizabeth II steps out to visit the Science Museum in London, where she shared her first Instagram post on the official Royal Family account. 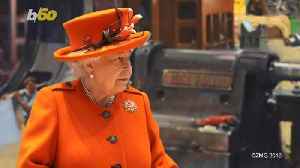 Following a visit to the Science Museum, Queen Elizabeth II published a touching post on Instagram involving a letter written to her great-great-grandfather Prince Albert. The Queen has created her first Instagram post. Keri Lumm reports.